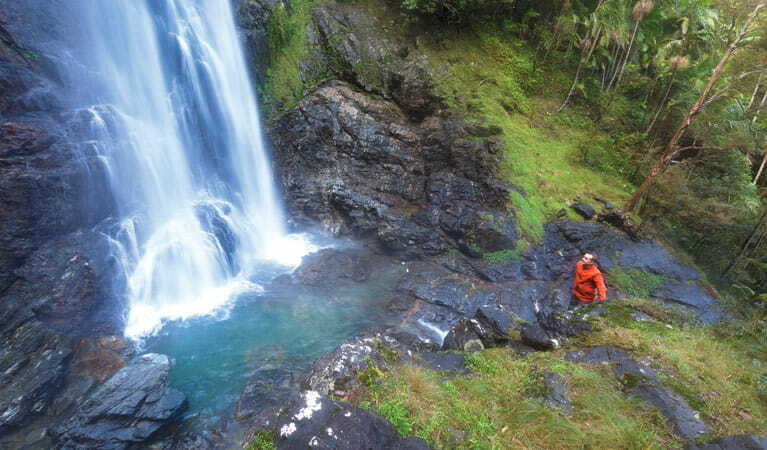 Red Cedar Falls walking track leads to the largest waterfall in Dorrigo National Park. Take care on the slippery rock surfaces near Red Cedar Falls. This area has high rainfall, so make sure you’re well-prepared for your visit. 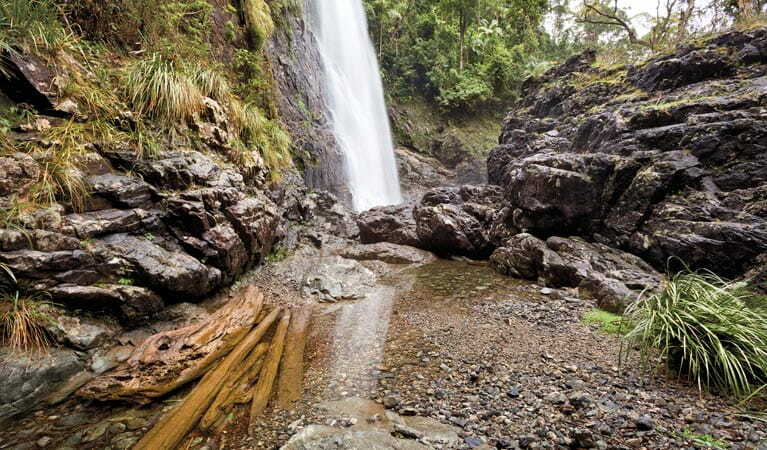 The strenuous hike to Red Cedar Falls is one of suspense, with glimpses of dramatic vistas and World Heritage-listed rainforest. 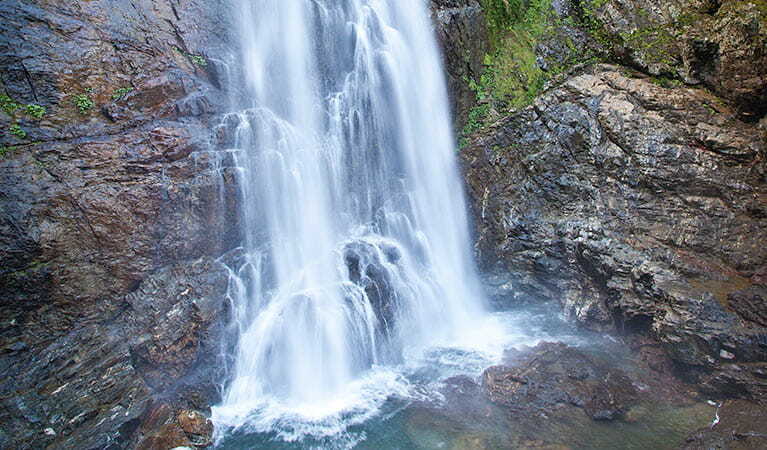 The waterfall is the largest in Dorrigo National Park, accessible by Red Cedar Falls walking track. 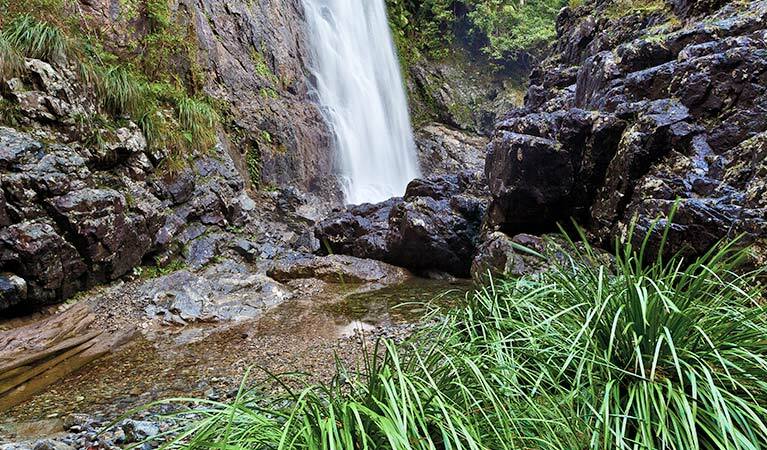 Setting out on the hike to witness the beauty of Red Cedar Falls is definitely one of the best and most rewarding things to do if you’re visiting the Coffs Harbour area. 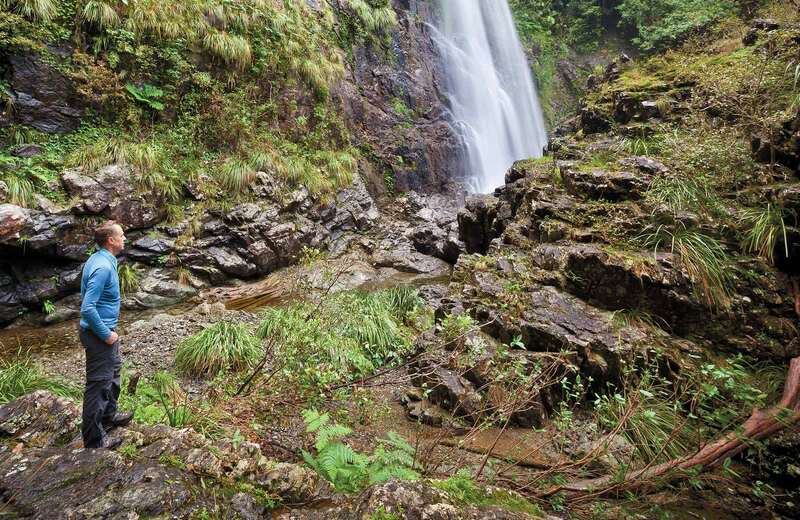 Starting at Never Never picnic area, follow Rosewood Creek walking track for 2km to the turn-off. 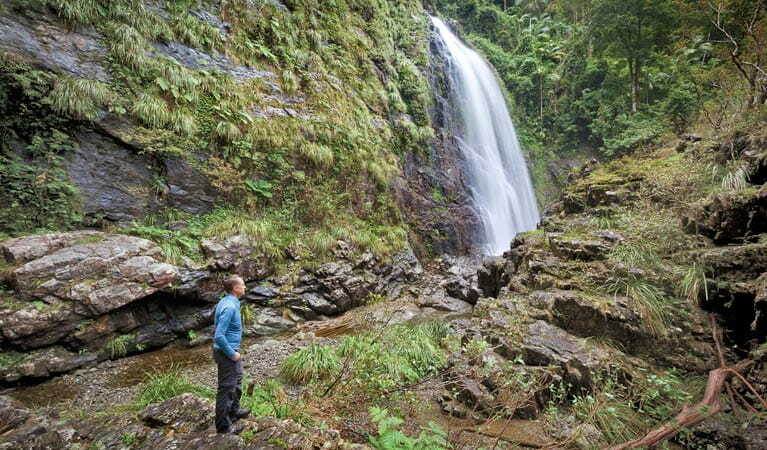 Descending steeply for 1.2km, you’ll see towering red cedars and bangalow palms. The water plunges over the escarpment creating a mighty roar and a fine spray of mist. The scene is breathtaking. Find a place to picnic, or save your appetite for the picnic area with its wood barbecues. Enjoy some birdwatching or listen out for stuttering barred frogs. To return, retrace your steps, or swing right at the turn-off to complete the rest of Rosewood Creek walking track. Take a virtual tour of Red Cedar Falls walking track captured with Google Street View Trekker.